The largely volcanic island of Okinawa, south of the Japanese mainland has provided the earliest known evidence of early humans using fish hooks. Ancient fish hooks, skilfully carved from snail shells are amongst the artefacts discovered in a limestone cave (Sakitari Cave). Archaeologists have stated that these fish hooks and other finds demonstrate the importance of adapting to maritime ecosystems as it permitted the spread of our species across the Pacific. Ancient fish hooks from a limestone cave on the island of Okinawa. The island of Okinawa lies between the mainland of Japan and Taiwan, at roughly three times the size of the Isle of Wight, it might be thought that this location would have been a very suitable habitat for human habitation, but the researchers, writing in the “Proceedings of the National Academy of Sciences”, suggest that this geographically isolated island may only have been occupied for part of the year, permitting early humans to exploit a seasonal food source. In truth, Okinawa would have been a relatively inhospitable place for early settlers. 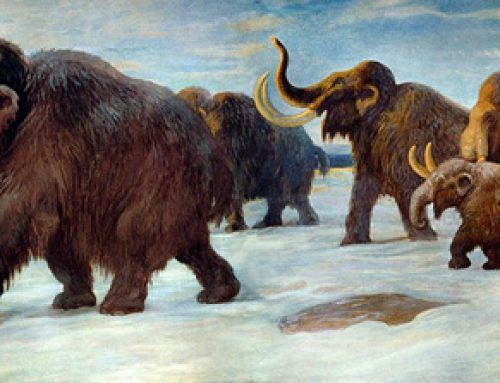 Fossil finds indicate that there were just a handful of kinds of large, terrestrial mammals on the island that could have acted as a source of meat. There were two species of dwarf deer and wild boars. Okinawa has virtually no raw materials that would have suited the technological demands of early humans, as a result, a number of researchers have hypothesised that the islands that make up this Japanese archipelago were too small for sustained occupation by Palaeolithic people. The discoveries made by Japanese archaeologists including scientists from the Okinawa Prefectural Museum and Art Museum, along with colleagues from the University of Tokyo, have helped to “fill in a gap”, plotting the migration of Late Pleistocene humans across the western Pacific. Pleistocene migration of humans across the Pacific. Sakitari Cave lies more than a mile from the present coastline of south Okinawa, however, when the fish hook makers visited the island, sea levels were lower and the cave would have been located more than two and a half miles from the sea. The archaeologists were able to successfully carbon date layers in the cave which indicate successive human occupation extending back to 35,000 to 30,000 years ago. It is thought that maritime adaptation was one of the essential factors that enabled modern humans to spread all over the world. The lack of clear data provides only a patchy picture of how humans moved into new parts of the world during the Late Pleistocene Epoch. This new study of the well-stratified layers in Sakitari Cave, lends support to the idea that early modern humans were more advanced in their maritime technology than previously thought. The finished and unfinished fish hooks, which had been carved from snail shells, have been calculated to be between 22,380 and 22,770 years old (radiocarbon dating of the carbon from the charcoal layer in which the fish hooks were found). Other finds include marine molluscs as well as an abundance of freshwater mollusc shells, a potential grind stone and stone flakes along with a tooth and fragmentary human remains including bones representing an infant. Artefacts from the cave on Okinawa. Accounting for any margin of error within the dating assessment, these fish hooks are older than similar fishhooks found in East Timor (between 23,000 and 16,000 years old) and New Ireland in Papua New Guinea (20,000 to 18,000 years old). The findings lend support to the idea that these early modern humans were more advanced with maritime technology than previously thought, and that they were capable of sustaining themselves on relatively small, geographically remote Pacific islands. The persistent occupation on this relatively small, geographically isolated island, as well as the appearance of Palaeolithic sites on nearby islands by 30,000 years ago, suggest a wider distribution of successful maritime adaptations than previously recognised, spanning the lower to mid-latitude areas in the western Pacific coastal region. It seems that fishing has been a part of human activity for a very, very long time. The paper: “Advanced Maritime Adaptation in the Western Pacific Coastal Region extends back to 35,000 to 30,000 Years Before Present”.